We Have Puppies! 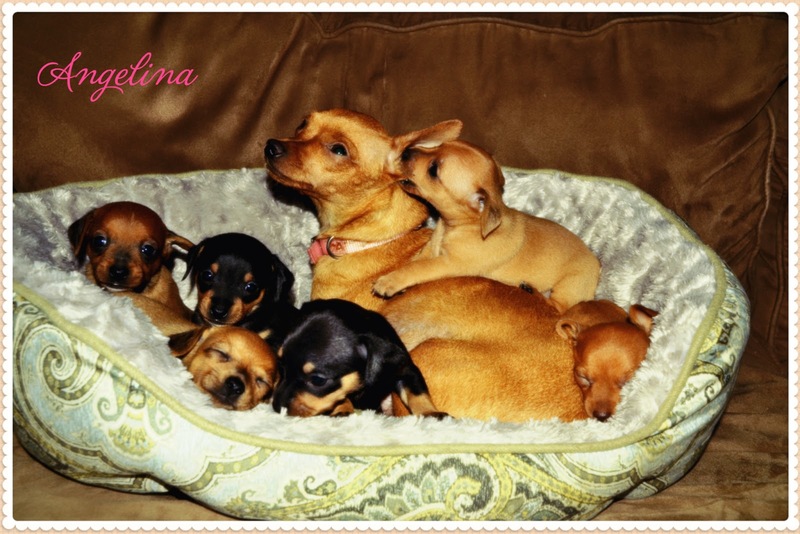 Meet Angelina and Her Six Pups! Angelina is our latest Georgia SPCA foster dog. She was surrendered at a local animal control and was rescued by Georgia SPCA. She gave birth at Jane Steward's House, Georgia SPCA Executive Director and is now being fostered by us. Angelina is a excellent mommy. She is very caring, gentle and sweet. She plays with her puppies she lets other people play with her puppies as well. Angelina and her pups will return to the shelter on August 4. Please follow us on facebook for more updates https://www.facebook.com/TheBluebirdPatch and don't forget to vote for Georgia SPCA daily. They are one of only 10 remaining contestants to win the RAM Promaster Van. Just click the link http://bit.ly/13lhXYN and click Vote - that's it! You can vote once daily per device (laptop, tablet, iPod, etc) through 7/28. Thanks so much for your support!